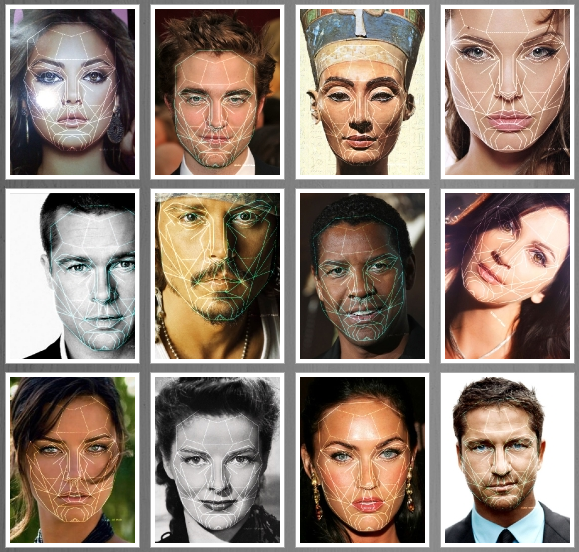 What are the most common traits of a beautiful face at a glance? A beautiful face is not difficult to recognize. It transcends cultural barriers and needs no translation. Beauty is what we intuitively imagine it to be since we are young, we recognize it at a mere glance and it is hardwired into our evolutionary mind. 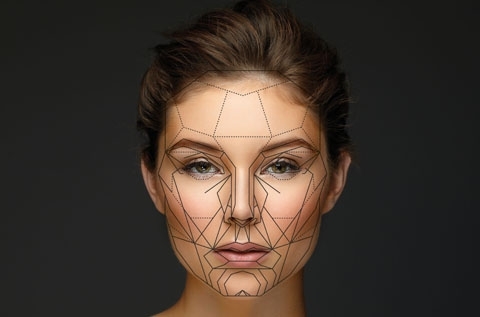 An Ideal of what constitutes a beautiful face differs from person to person. The proverbial “beauty is in the eye of the beholder” by Plato, is an aphorism that describes this subjective impression perfectly. There is however, in general, a consensus regarding what an attractive face looks like, whether or not it strikes an individual as a beautiful face. This all too subjective, but symbolic mental image is known as archetype. An Archetype, in the simplest of terms, refers to a pattern of behaviors, prototype from which others originate, or are emulated; a recognizable icon or stereotype. 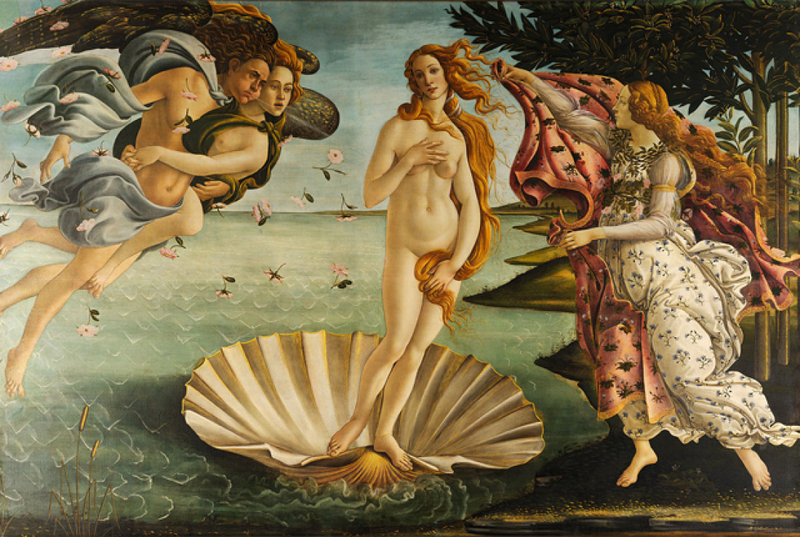 Examples of this idea are the pictures found in a deck of Tarot Cards that symbolize universally understood characters , or the celestial beauty depicted in Sandro Botticelli’s painting “The Birth of Venus”. Although the description in the field of psychology of this notion was described by Carl Jung in the early 20th century, its manifestation is evident in the late 18th and early 19th Century neoclassical paintings and sculpture. 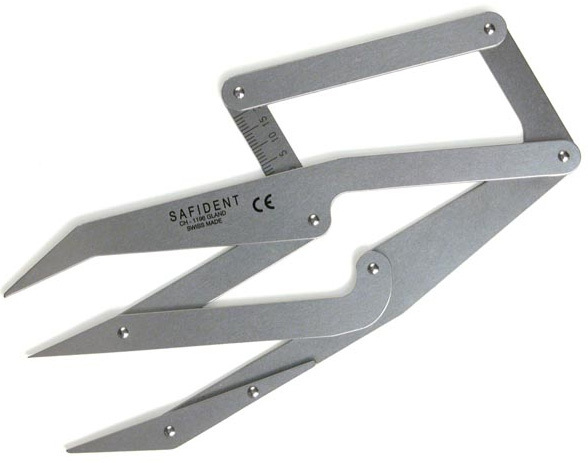 Some of the first attempts to establish universal craniofacial measurements were in Egypt as far back as the third millenium B.C. Elaborate systems to estimate facial proportions were devised by Egyptian artists to allow bas-relief tomb carvings for the pharoahs and nobilty. 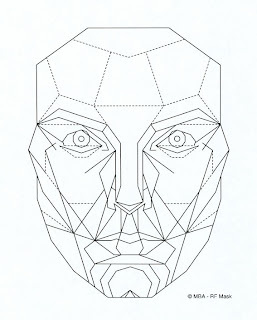 the width of the nose or a full eye. In the mid 17th Century, anthropometry surged as a new method for elucidating craniofacial dimensions in a more accurate way. Phi is the ratio found in nature repeatedly. Greek sculptors, neoclassical painters and other artists have used it to portray a beautiful face. 1:1.618 is the golden ratio. From it, you can derive a triangle as the base for several overlapping geometrical shapes. A blueprint of this rule was created by retired Oral Maxillofacial Surgeon. 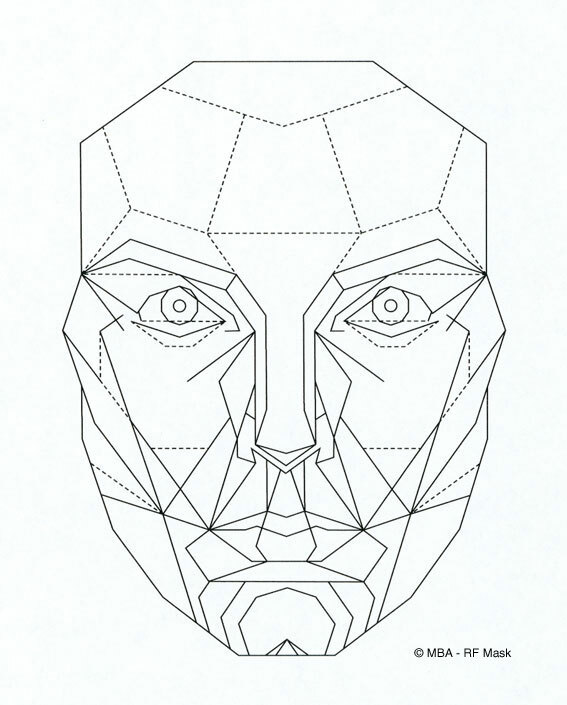 Dr Stephen Marquardt, and came to be known as Marquardt's mask or the "Golden Mask"
The Facial Beauty Mask is courtesy of, and copyright by, Dr. Stephen Marquadt. | Face image by Sean Armenta. The instrument used to measure this ratio in a plastic surgeons office is called a "Golden Mean Gauge"
Even the ratio of a beautiful lower to upper lip follow this golden ratio by 1:1.680. This is especially important when considering a natural and beautiful appearance by using fillers or fat grafting for lip augmentation. In the hands of a capable plastic surgeon with a good sense of aesthetics this can result in the "perfect pout"
Read the "Perfect Pout" for more information on lip augmentation with fillers or surgery. High cheekbones are one of the findings in an attractive face. It is in fact, not the bone itself, but rather a fat pad which lays normally at the height of the orbital rim (the lower eye bone) and is at the level of the lower limbus of the Iris. With time, this fat pad descends due to gravity and contributes to the ageing appearance of the face. One of the objectives in maintaining a youthful appearance through cosmetic surgery, is to preserve the height and natural oval appearance of the "cheek bone". Several methods have been described, including Fat grafting, Dermal Fillers and Polyethylene implants. My personal preference is the use of Fat grafting due to it's natural appearance and long lasting effect. 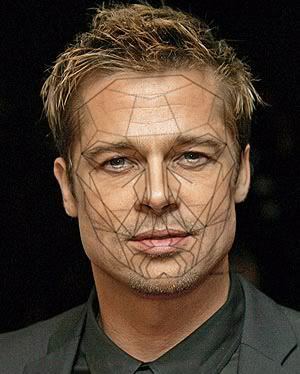 The symmetry of the natural and youthful appearing cheek bone also follows the golden ratio. 1. http://en.wikipedia.org/wiki/Archetype; Accessed on 4/19/11. 4.Guyron. Plastic Surgery:Indications and Practice. Chapter 29 "Cephalometrics,Anthropometrics,Orthodontics"
This is an excellent article, Dr. Magana. It's very informative and very well written. 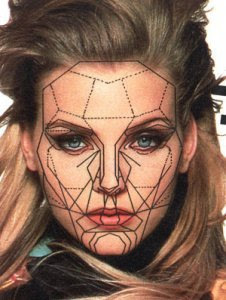 I think it's imperative that every plastic surgeon knows what's the "ideal beauty". I listen a lot about the plastic surgery in New York. It is really very popular for the surgery and is very excellent for its result and for the service. Plastic surgery effects different and better for good significant. It increase excellence look and effects of face. Sound increased its well attraction because of a craze of time. I feel that cheek bones play very important role to make the face more beautiful than ever. Phi has been very helpful to maintain the cheek bones as young as it requires.